If variety is the spice of life, then Puerto Galera is one of the spiciest dive destinations in the Philippines with close to fifty dive sites, Puerto Galera is a location where divers can explore coral gardens, muck, caves, walls, pinnacles, shipwrecks and artificial reefs – and all are home to a wonderful array of marine life. Located close to Manila, Puerto Galera has been a popular dive destination since the 1970s, with much of the area protected as a marine reserve since 1973. Today the area is virtually overrun with dive resorts, which are scattered along the many beaches and headlands, but concentrated around Sabang Beach. With so many dive resorts in Puerto Galera there are great package deals to be had on diving and accommodation, but make sure you stay for at least a week, as there are many wonderful dive sites to explore. 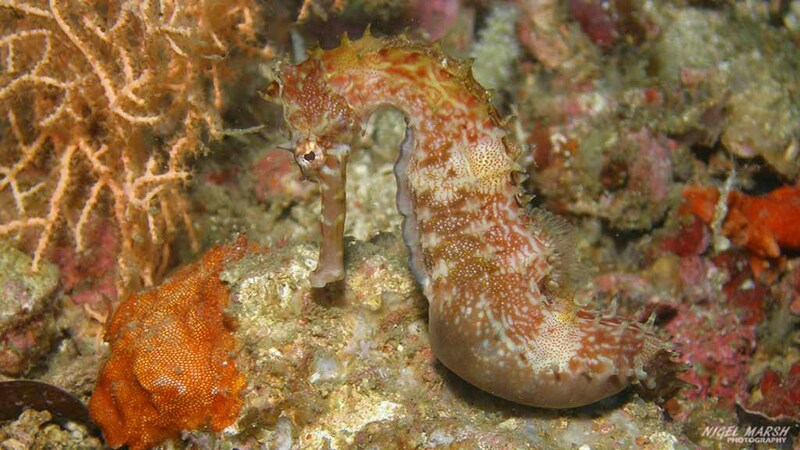 Puerto Galera is best known for its macro life, with the dive sites in the area populated by nudibranchs, frogfish, seahorses and many other wonderful critters. 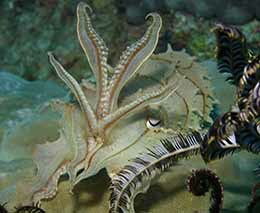 However, divers will also encounter larger marine life like turtles, sea snakes, pelagic fish and reef sharks. 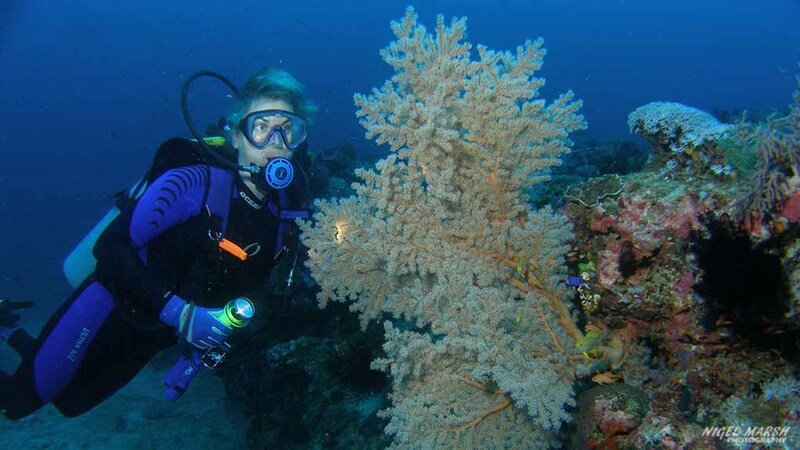 One of the best things about Puerto Galera is the variety of dive sites, and at most sites divers can explore several different environments in a small area. There are not many places where a diver can start a dive on a scuttled ship, then explore a sandy mucky bottom and end the dive on a coral reef. 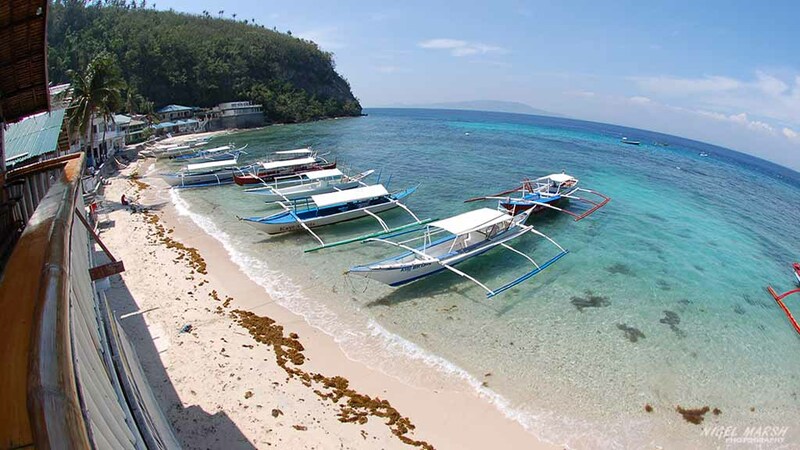 Puerto Galera is also a popular destination for dive training and is the tech diving capital of the Philippines. 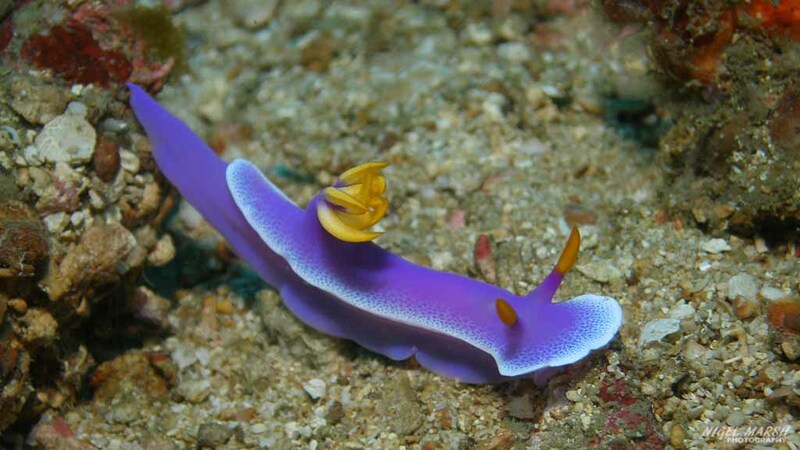 A dive holiday at Puerto Galera will expose you to some of the best and most varied diving in the Philippines. Puerto Galera is located on the northern end of Mindoro. 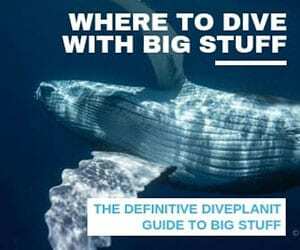 With close to fifty dive resorts and dive operators in the Puerto Galera region, deciding which one to dive with can be a difficult decision. 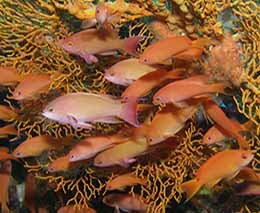 All the dive operators offer daily boat dives, and with most of the dive sites, apart from Verde Island, only a few minutes away these are generally done as single dives. Puerto Galera is a popular dive training centre and a number of the dive operators also offer tech diving courses. Variety is the name of the game in Puerto Galera, with the area having a rich variety of sites for divers to explore, plus dive sites to suit every divers taste and skill level. 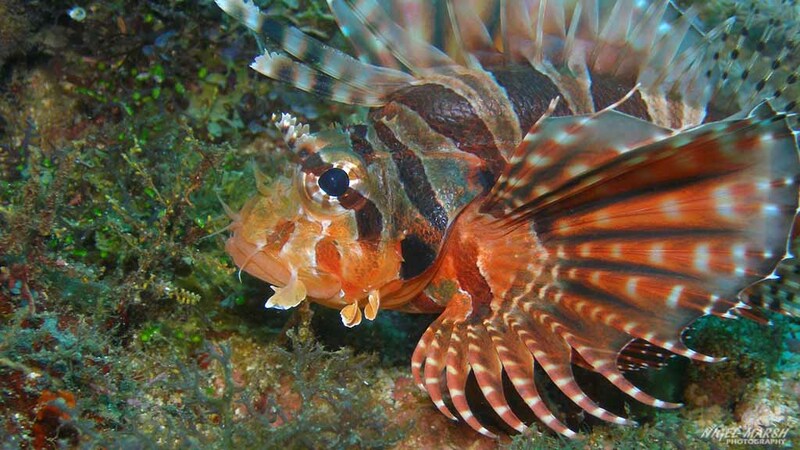 The most popular dive sites in the area, and the most easily accessible, are found off Sabang, La Laguna, Sinandigan and the Batangas Channel. 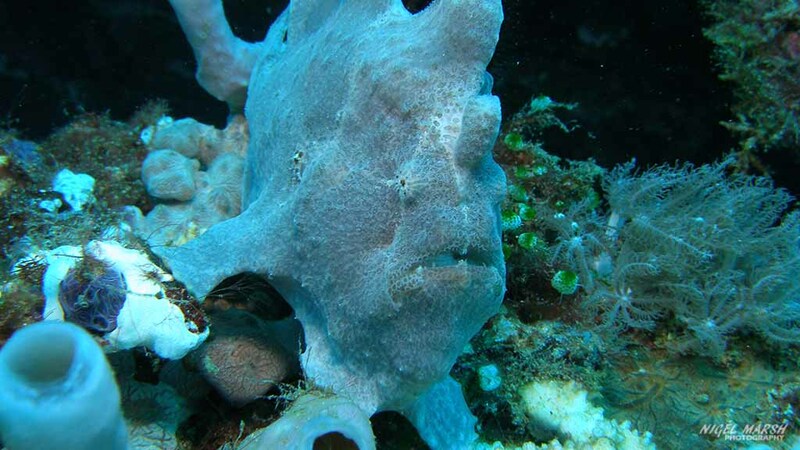 In this area are coral gardens, walls, pinnacles, caves, boulders, ledges, gutters, artificial reefs and even muck sites. The coral in this area is surprisingly good as the area is regularly swept by currents, with black coral trees, soft corals, sponges and sea whips decorating the bottom. Drift diving is popular when a current is running, allowing a large area to be explored with little effort. Macro critters are the main attraction, especially frogfish, nudibranchs, seahorses, mantis shrimps, moray eels, flatworms, cuttlefish, octopus and a good variety of small reef fish. 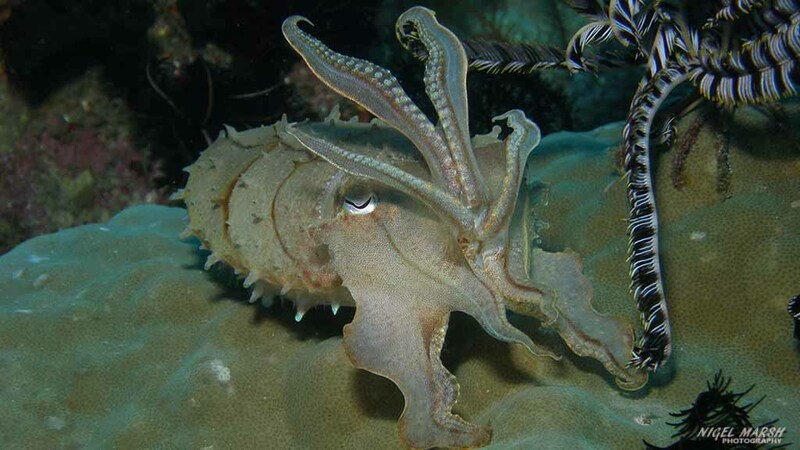 There are also a number of good muck sites around Puerto Galera where divers can encounter some weird and wonderful animals, such as snake eels, mimic octopus, flamboyant cuttlefish, stargazers, weedy scorpionfish, demon stingers, seamoths, shrimpfish and ghostpipefish. 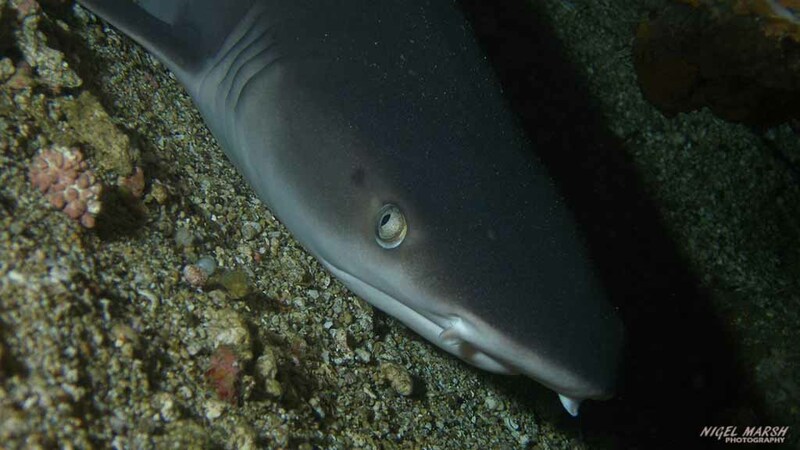 However, larger species are also seen in this area, with schools of batfish common on the artificial reefs and whitetip reef sharks resting in caves. 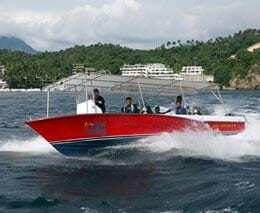 Divers will also encounter turtles, sea snakes and schools of pelagic fish in the Puerto Galera area. While most dive sites off Puerto Galera are only a few minutes away, a popular day trip is Verde Island in the Verde Island Passage. Surrounded by beautiful fringing reefs and sheer walls, Verde Island has the best corals in the area, the best visibility and a rich variety of marine life. Diving is popular year round at Puerto Galera, with the water temperature 25 to 29°C and the visibility typically 10 to 20m, but often close to 30m at Verde Island. 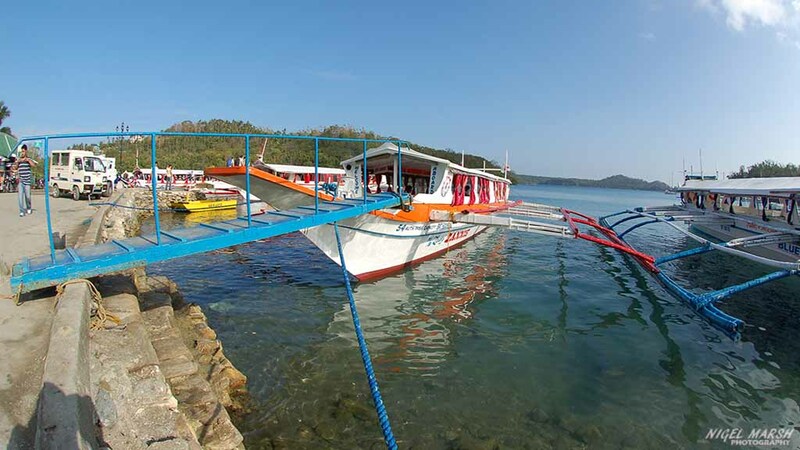 With several dozen dive resorts dotted around the coastline at Puerto Galera accommodation choices are endless. 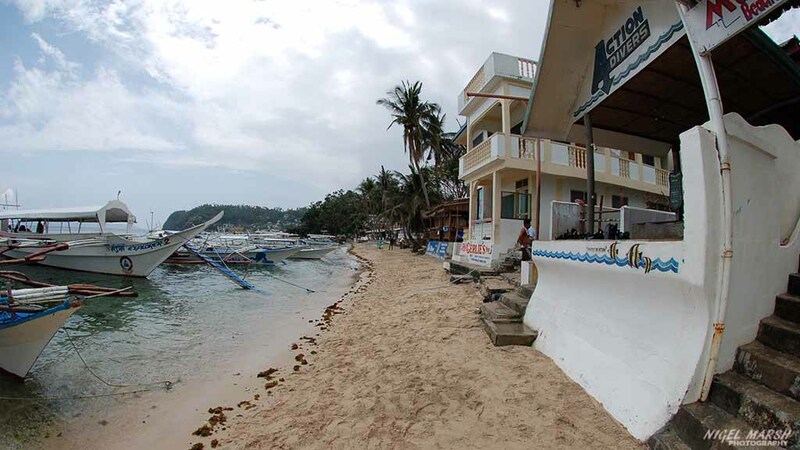 Many of the resorts are clustered around Sabang Beach, close to the ferry terminal, but with a grey sand beach, lots of bars and also quite visible prostitution it is not the most attractive area to stay. For a more peaceful stay on a prettier beach consider the resorts on Small and Big La Laguna Beaches. There are also more secluded resorts scattered around the other beaches in the area and on nearby Medio and Paniquian Islands. 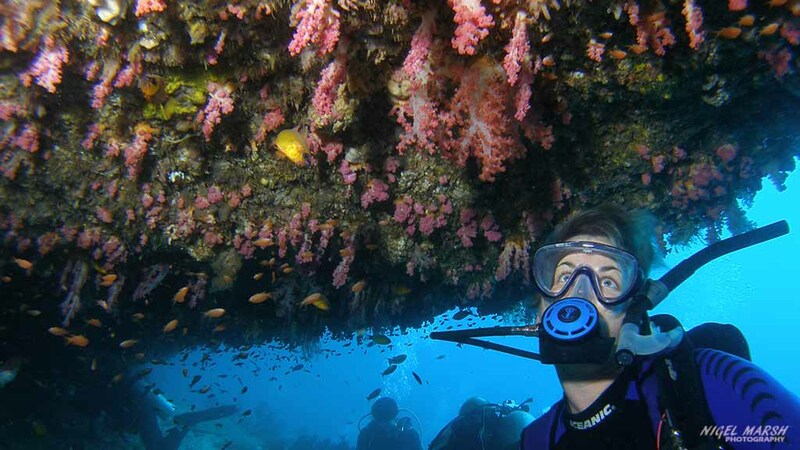 Most of the dive resorts at Puerto Galera offer package deals on diving and accommodation. All the dive resorts at Puerto Galera have restaurants, so you can either eat at your dive resort or visit a range of different places during your stay. Almost all the restaurants have a diverse menu, offering a good mix of western and Asian cuisine. With limited roads, walking is the easiest way to get around most parts of Puerto Galera. Paths allow access between most of the popular beaches, but the quickest way to get around this area is to jump on a boat, with water taxi services popular. There are also jeepneys running between Sabang and Puerto Galera. Located 140km south of Manila, Puerto Galera is best accessed via the capital. Numerous airlines fly into Manila from across the globe, and from there you have a number of options to get to Puerto Galera. The quickest option is a seaplane flight, which will only take around 30 minutes. Air Juan’s Cessna Seaplanes operate this service. However, most people take the overland route, via car or bus to Batangas, and then a ferry across to either Sabang or Puerto Galera. This can be organized privately or by your dive resort, and will generally take around four hours.